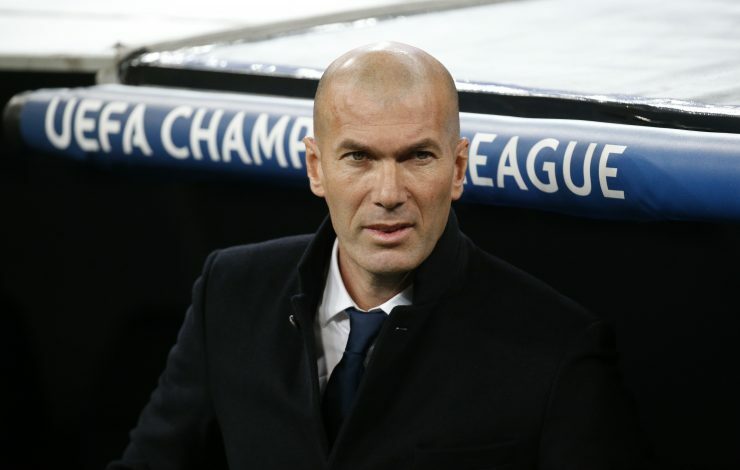 Reports have surfaced suggesting former Real Madrid manager Zinedine Zidane is eyeing the managerial role at Manchester United, and he desperately wants the job. The Red Devils are currently in a position of bother in Jose Mourinho’s third season at the club, after having got off to a dismal start in the Premier League. Moreover Jose’s continuous rift with Paul Pogba has unsettled the team as well, with the World Cup-winning midfielder believed to be seeking a new pasture in January. Meanwhile, although United still believe in Jose, if results do not come, then they may be tempted to look elsewhere. By December, we could get a clear picture as to where United stand and what happens regarding their decision on Jose. With Zidane on top of the list as one of potential candidates, United could be tempted to land the Frenchman early, as the tactician is currently on a sabbatical. A report in The Sun claims that Zidane, who is desperate to land the job in Manchester, is already taking English lessons to prepare himself for the role at Old Trafford. Since leaving Madrid, Zidane had turned down several offers from clubs, as he has his eyes set on United. He won three Champions League titles in his two-and-a-half-year spell at the Bernabeu. Known for excellent management skills, Zidane’s calming influence is a factor that can be motivating for the United squad. Whether he ends up becoming the next Manchester United boss remains to be seen, though.